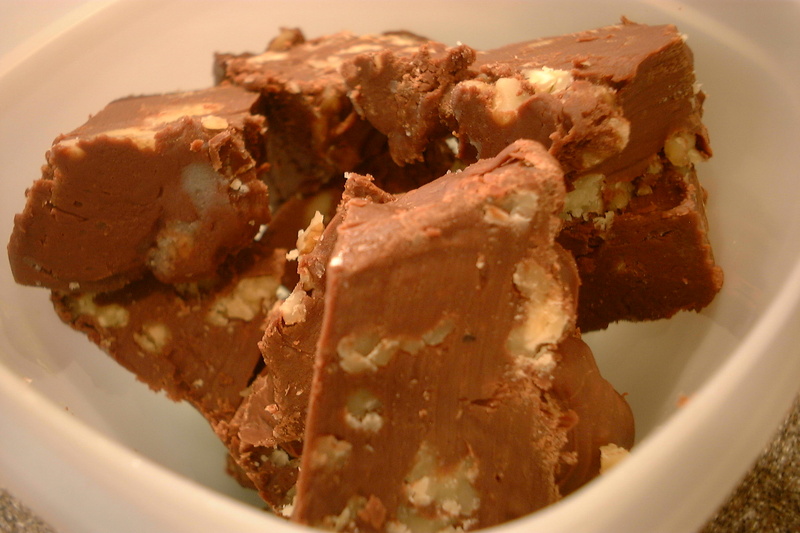 The first recorded evidence of fudge being made and sold was a letter written in 1886 and found in the archives of Vasser College by Emelyn Battersby Hartridge who wrote that her schoolmate’s cousin made fudge and sold if for 40 cents a pound in a Baltimore grocery store. Scottish tablet has been around for much longer, the first note of it being made in The Household Book of Lady Grisell Baillie in the early 18th century which just shows that when it comes to perfecting the art of sweetness, the Scots are way ahead of the game. There are several origin stories floating around about fudge. One says that a young apprentice caramel maker was left stirring the pot while the boss was out serving customers. By the time he returned, the caramel was so grainy it was ruined – but the customers loved it, and named it Fudge after the apprentice who mistakenly made it. Another story goes, that a college lecturer in Virginia, USA, was teaching a class in toffee making, and the temperature was not taken high enough resulting in what we now know as fudge. This, allegedly, is also where the term ‘to fudge something’ comes from. 1792 Charles-Somon Favart died in Belleville, France. A French playwright and pastry cook, one of the founders of the opera comique. 1878 Catherine Esther Beecher died. An American educator and author of ‘Miss Beecher’s Domestic Receipt Book’, etc. 1889 John Cadbury died. He was the founder of Cadbury chocolate company. 1912 The Beverly Hills Hotel opened. WOW! These all look soo good!